The President of Ukrainian Federation Soccer admitted that it’s probable that the majority of Euro 2012 matches including finals, would be played in Poland. The Prime Minister of Ukraine is a bigger optimist. Ukrainians have the biggest problems with the infrastructure, especially with old airports. What’s more, there is also a problem with Olympic Stadium where finals are planned. An object that can accommodate 75.000 spectators is supposed to be entirely rebuilt and extend to about 85.000 seats. A Taiwanese company that won a bidding for the modernization of the stadium wants to alter plans and reduce the tribunes to about 50.000 seats. The costs of works increased by about 100 million dollars. That is why Taiwanese people had the work license taken back. The second problem concerns the famous shopping mall, which were to be built near the main entry to the stadium. According to the UEFA it can be dangerous when evacuating fans. Building was stopped and during the visit of the delegation of UEFA last Thursday it was about to be pulled down. However, the next day machines disappeared. It is said that the investor conflict is the cause with the authorities of Kiev which within the compensation promised to grant 80 hectares to different but equally attractive part of the city. Leonid Czernowiecki, the mayor of the city, explains that the Prime Minister Julie Tymoszenko has to sign the contract with the investor, not the director of secretary in the Ukrainian government. 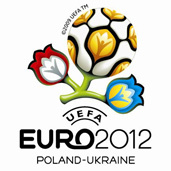 It can make us loose hopes for organizing Euro, says Hrihorij Surkis, the president of the Ukrainian soccer federation. He confirmed Saturday information from “Gazeta Wyborcza” that UEFA could give back to Poland the majority of meetings including the finals. In his opinion, at this moment the most probable scenario is that at the new stadiums in Donieck and Dniepropietrowsko (which will be ready in this year) in Ukraine will be played matches of one group. Three other groups would play in Poland. After these words the Prime Minister Tymoszenko called the press conference and assured that the modernization of the Olympic Stadium would have ended in two years. Dmitri Ilczenko from Ukrainian “Sport-Express” believes that the only help for his country is the financial support from UEFA. It also helped Portugal before championships in 2004. Without it, we will have some problems. He added: ‘Poles, you have money from European Union. We have to do everything on our own’. The congress UEFA will be held in 25 and 26 September in Bordeaux where preparations will be estimated and even decisions about the changing of the host of Euro 2012 might be taken.